We encourage our members to do business with other members! "Delivering innovation for more than a century. 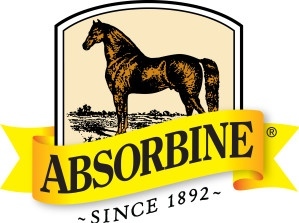 Ever since Wilbur and Mary Ida Young created the first Absorbine horse liniment back in 1892, innovation has been at the heart of everything we do. That inventive spirit, as well as an intense focus on meeting the needs of our customers, has allowed W.F. Young, Inc. to grow into a global leader in animal and human health and wellness products. After 120 years, were still a family-owned, American company with a passion for providing high-quality over-the-counter medications as well as a full portfolio of horse and pet care products. Every day that passion drives us to develop further advances in the way our products are formulated and deliveredwhile always maintaining the highest levels of integrity. This is all part of fulfilling our mission of helping improve the lives of people and the animals they love." "Our range of horseshoes has been designed for farriers and vets by a farrier himself. Our aim is to satisfy the sports and orthopedic demands which are continually changing for all horses i.e show-jumping, riding school and race horses. To this end, we work closely with top horsemen of all disciplines and we have developed a wide range of products, combining quality and performance. We are happy to cater for the requirements of horse specialists and do our best to satisfy them." "Accuhoof is a digital hoof gauge that provides toe-angle measurement to the tenth of a degree. Accuhoof has been designed to withstand rugged conditions and provide constant reliability in measurement of horses hoofs. Its anodized finish, rugged digital meter, and long life, rechargeable battery make Accuhoof the top choice for toe angle measurement of horses hoofs. Like other hoof gauges there is no need to put the hoof down to measure, but with the new backlit LCD screen Accuhoof is superior in hoof angle measuring devices. We invite you to try one of our devices out and see the difference." 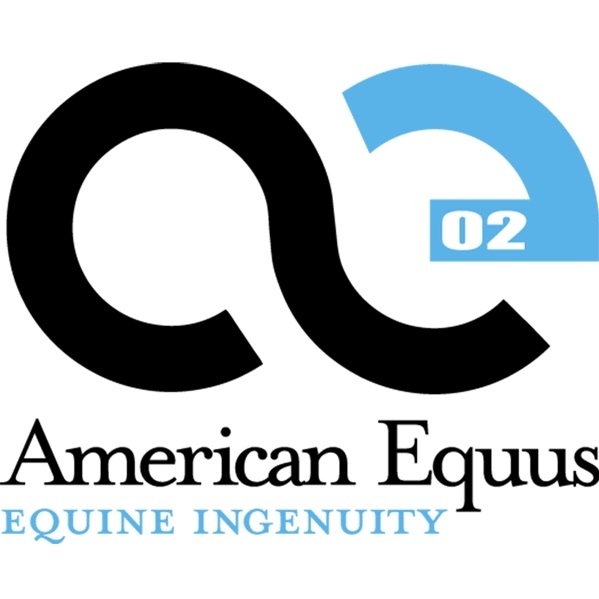 "The American Equus MonoBloc Horseshoe is the paragon of robustness and elegance in any discipline. The shoes have a lustrous anodized finish that is not only beautiful but functional. The MonoBloc Horseshoe is a light shoe for training sound young and adult horses as well as intense competition. Crafted meticulously with solid 6061 T6 Aircraft Grade Billet Aluminum our shoes yield a remarkably comfortable, long lasting, ultra-lightweight shoe. The shoe features a rolled front edge for a comfortable break over process, and with no steel wear bar the shoe will wear to the horse naturally with no interference. Countersunk and beveled topside nail holes allow for accurate nailing with multiple pattern options. Our trademark deep anodizing process inhibits oxidation and prevents fungal growth between the shoe and hoof." "The horse is a complex, intriguing animal. Anatomy-of-the-Equine is the unraveling of this complexity, a quest to understand the horse from the ground up. As hoof care providers, we have sought to understand what diagnostic tools do not show. For instance, why does the external hoof not always reflect the soundness of the horse? A comprehensive understanding of what is deep inside the hoof is critical. Without it, we are often only making assumptions. To help farriers, veterinarians, and informed horse owners, we created a bridge between "book" anatomy and the living breathing horse. By using a variety of modalities to learn the anatomy of horses including carefully dissecting, diligently photographing and then identifying all of the structures; this allows us to visualize and understand the inter-relationship between the structures." As a farrier for over 22 years, my passion for helping horses and the farrier trade has only grown. I focus my practice on therapeutic shoeing and performance horses. During my time in the industry, I have also gained an interest in farriers themselves. Primarily, an interest to help keep them sound. An interest in one of our essential tools our apron. 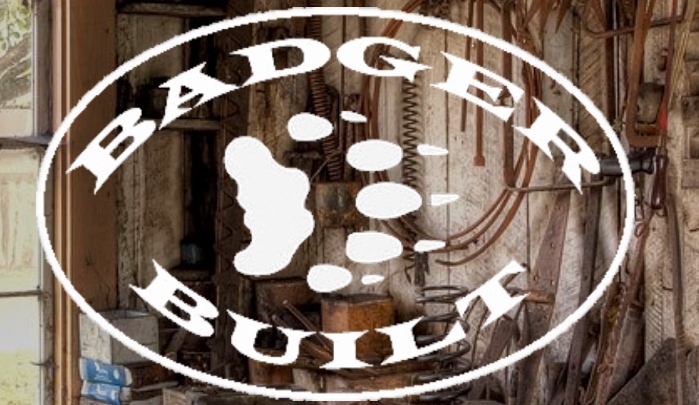 Badger Built LLC, was born in 2014 after more than a decade of designing, researching, and making numerous aprons. Over that time an ergonomic apron was created that works with your body, not against it. It is the most comfortable apron I have ever worn so that the thought of sharing it with others and seemed fitting. Teaming up with my wife Michaela made it possible. After all, I thought other farriers just might want the same." "Manufacturers of farrier and veterinarian storage solutions and mobile work rigs." "Recognized throughout the industry, Roy Bloom has a reputation for the greatest attention to detail - and maximum performance - for every product he manufactures. When you purchase tools from Bloom Forge, they come to you ready to function for the purpose they were intended. With over 25 years experience as a farrier, Roy understands the use of the tools." 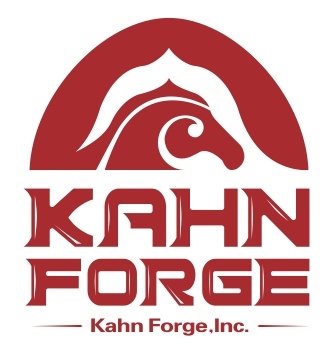 "Founded in 1960, Centaur Forge is the oldest supplier of Blacksmith and Farrier products in North America. We welcome you to visit either of our store locations in Burlington, Wisconsin or Austin, Texas. If you are not close to one of our stores, you can place your order online or phone in your order. With our $8.95 Flat Rate Shipping, all our US customers have the same shipping cost whether they live in Honolulu, Anchorage, Seattle, Miami, San Diego, New York or Chicago. Customers within the Continental US can get Free Shipping on eligible orders of $250.00 or more. These low-cost shipping policies prevent nasty surprises when you go to check out on our website. 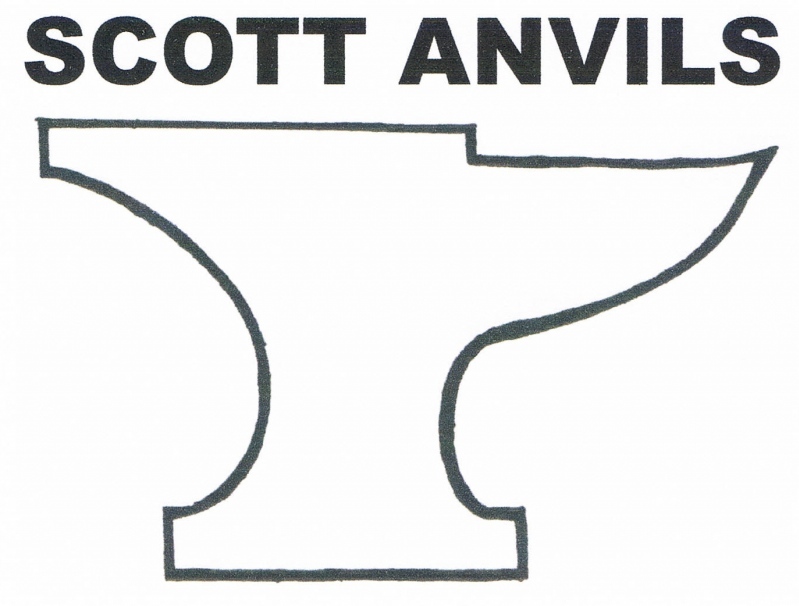 This is particularly important when you are ordering heavy and/or bulky products like anvils, forges, and horseshoes. With a north and south location to ship from, we, on average, can ship faster to all locations in the USA." "Castle Plastics manufactures a complete line of hoof pads. Along with our Castle pads, we continue to carry our Hoof Prints Impak pads. We also manufacture a Magnetic, Performance, Cushion Frog, Egg Bar and many different styles of Sno Pads. We also offer a Pour Pad, Large Draft, and 2 Degree Large Draft pad. Still available is our Hoof Boot in five sizes." "Tired of your horses' hooves cracking and flaking away? Cop-pure-cure Is an all natural product that helps in the treatment of whiteline disease and thrush. Easy application for horse owners or farriers. Can be applied to affected hoof areas. Used and developed by a top equine sporthorse farrier." "D.E. 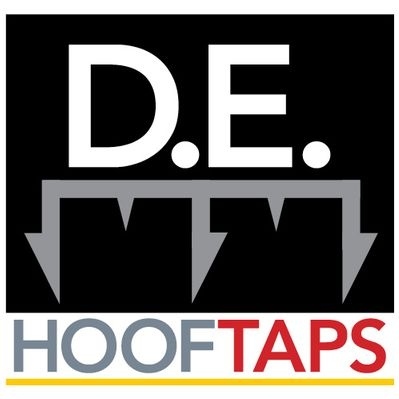 HoofTaps - a tool used by hoof care professionals for wall separation, cracks, excessive ware, hooves that tend to break up, and other corrective issues. Can be used under shoes, under glue-on shoes, under or on hoof wraps, in boots and barefoot." "Dechra is committed to helping you care for animals. We do this by providing you with quality products and the very highest level of support. 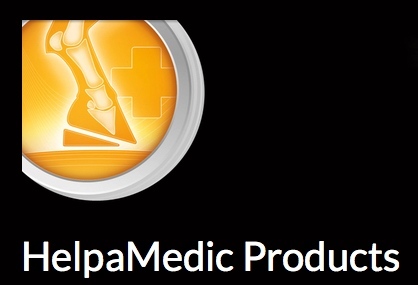 This is why DECHRA is one of the fastest growing global brands in the veterinary market. Dechra has a long history in the veterinary health market dating back to 1819, when the company was established as Arnolds & Son, originally manufacturing prosthetic limbs. The company first turned its attention to veterinary medicine during the Crimean War. More recent changes, including a number of highly successful acquisitions, have helped shape the current business. However, our heritage has undoubtedly contributed to Dechra being the successful business that it is now is." 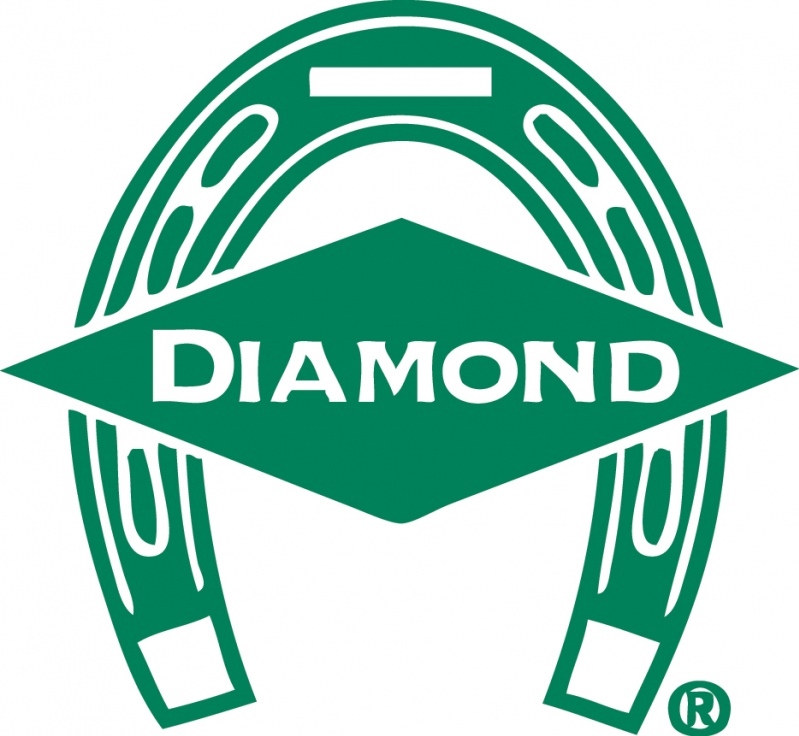 "Founded in 1908 as the Diamond Calk Company by blacksmith Otto Swanstrom, today Diamond Farrier is owned and managed by the Royal Kerckhaert Horseshoe Company. From a modest beginning in Duluth, Minnesota, manufacturing only horseshoes by hand, Otto could not have imagined how this iconic brand would grow into the one-stop brand for farriers it is today; offering horseshoes, farrier tools, and horseshoe nails. As the world's largest independent horseshoe manufacturer, the Royal Kerckhaert Horseshoe Factory is a market leader in the farrier industry. As a family-owned company since 1906, Kerckhaert shares Diamond's heritage and experience and brings added passion and innovation for quality and design of product." 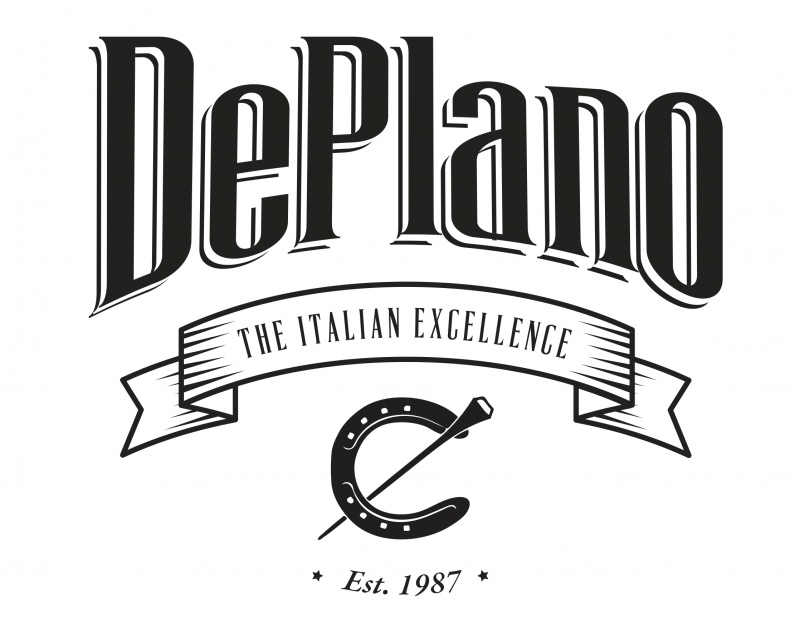 "DePlano takes its roots from the need to improve both welfare and performances of horses. I have been practicing farriery for more than 30 years, having the chance to work with horses in every field of equestrian sports; experience taught me that it is extremely important to study and develop specific tools made out of the best materials in order to improve and preserve horses limbs and body structure in general throughout time. During these years, our research for high-standard materials enabled us to create fine quality products always taking advantage of the centennial Italian tradition in tannery. Therefore, we selected for our hoof pads a superior-quality leather tanned with natural products capable of high-performances." "Here at EasyCare, it's all about the horse and their human partners. 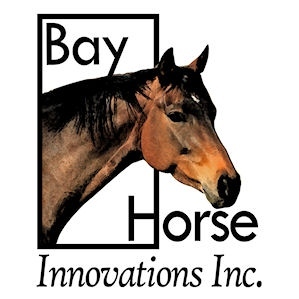 Our business is manufacturing and distributing proven equine products that will enhance performance, provide protection, increase comfort for the horse and rider, and enrich the overall human-horse experience. Throughout five thousand years of domestication, the horse has had a more significant impact on human history than any other animal. Our goal is to help make the future of the horse/rider relationship as fulfilling and exciting as the past. What began in 1970 with the invention of the first Easyboot by Dr. Neel Glass to help a beloved family horse suffering from navicular disease, has since evolved into an entire line of hoof boots that provide an excellent alternative to iron shoes. This is due in part to the dedication, desire and diligence on the part of an incredible team of people. We're a company that cares deeply about horses and we will continue to develop products that provide comfort, support and performance for our equine partners. We are more committed than ever to continue to create innovative hoof boot designs with features and options that will allow horse owners to provide a natural hoofcare solution for their horses." "Integrated technology devoted to the horse considers the interplay of equine body, mind, and spirit. EponaMind offers knowledge and products that enable the horse to educate the team, offering a higher level of awareness. Evidence-based technology filters out the uncertainty that surrounds performance and longevity options, giving the horse its own voice. Cutting-edge technological products that are user-friendly and accessible, and help synergize the support team." "Equicast Hoof Wear - Protection System: Hoof wear protection system promoting soundness for all types of horses." EQUINE DIGIT SUPPORT SYSTEM INC.
"Equine Digit Support System, Inc. is a developer and distributor of high quality, innovative hoof care products. Equine Digit Support System, Inc. is a family business that opened in 1995 in Columbia Falls, Montana. After studies on wild horses (feral horses) hoof patterns in 1986 and 1987, Gene Ovnicek developed the World Race Plate, which is now manufactured and distributed by Thoro'Bred Racing Plate Company. After several years of continued research and development, Gene designed a system for treating lower limb equine pathologies. The resulting Equine Digit Support System and comprehensive instruction material proved to be one of the most effective tools for treating a multitude of lameness conditions and often times returning horses to a pre-disease condition. In an effort to make sure that proper instruction and support was offered for the EDSS, the Ovnicek family started Equine Digit Support System, Inc. Since that time, EDSS, Inc. has continued to offer innovative products and information to help restore and maintain soundness in the domestic equine." "Our job is to help get your horse back to health so you can enjoy your special time together. We are a full-time equine veterinary practice with over twenty-nine years of experience and are dedicated to doing an excellent job for both the horse and the owner. We understand that your time valuable - we will call you back quickly or email back responses right away because you need information to help your horse. Our practice is diverse, from world record holding racehorses, to show hunter/jumpers, to backyard pleasure horses/ponies, and even donkeys." "We offer the finest free standing, hands-on equine skeletal mounts available in the world. Our poses mimic the natural positions of the horse and allow real life comparisons for anatomical study. These mounts are durable, yet flexible, allowing for a very personal experience to the viewer. Our displays have traveled extensively and been touched by thousands of thrilled equine enthusiasts without breakage. If you want the very best in a real bone equine skeleton you have found your source. We offer custom poses that no one else would consider while concealing the unsightly framework seen on so many lower quality mounts. Our mounts are being used all over the world in the field and in the classroom. From small foot and leg mounts to entire draft horse skeletons we can custom design a mount for your specific needs. Contact us today to see how we can help you with your projects!" "Equine Innovations Inc., was founded in 2000 by president/owner Kevin Keeler as a means to promote his invention the Hoofjack. Developed out of a desire to make his career as a professional farrier easier and safer, Kevin invented a unique hoof support system which he named Hoofjack. Equine Innovations Inc. is committed to producing a quality product that is made in the USA. Quality customer service is provided by a knowledgeable staff, all of which use the Hoofjack. We invite you to join us in our quest for making both the horse and human more comfortable and safe with hoofcare." "We are a family-owned and operated business and all of our products are proudly made in the USA." "EquiVision, Inc. has been providing information, equine supplements, products and services to the best horses around the world since 1992. We are here to help you help your horse reach the peak of his/her potential. From trail horses to Grand Prix Level Dressage to the Kentucky Derby, to broodmares and everything in between. We strive to put your horse's interest first and foremost. We sell products that work, if a specific product is not what your horse needs, we won't sell it to you!" "Farrier Product Distribution, Inc. (FPD) is one of the farrier industry's leading sponsors of educational programs and associations that are providing positive direction in the industry. Our products are distributed throughout North America via an excellent network of dealers that support the professional farrier and the associations they belong to. Visit our website to get more information on our programs, products and dealer locations." The Essential App for Farriers. Calendar Management - Stay on top of your appointments. At a glance see whats coming up. Save time! Bookkeeping - No more end of year panics. All of your invoices and purchases in one place. Bookkeeping savings! Payments - Quick and easy payments for your customers. They love it, no more chasing payments. Save money! "I originally developed this product to sell to other farriers. Like most farriers, I have always encountered the basic problems found in many horses sore feet, thrush, feet that are either too soft or too hard and brittle, founder (laminitis), quarter cracks and white line disease. I started looking for a topical treatment and experimented with various ingredients; until I came up with what I now call Farriers Fix Hoof Oil. Farriers Fix has ALL NATURAL INGREDIENTS and those who compete can be assured that it has tested negative under FEI guidelines. Farriers Fix "works like Magic in the words of my clients. Horses that were suffering from stone bruises or were trimmed too short, in many cases, were rideable the next day the ultimate proof of a product that works." G.E. FORGE & TOOL INC.
"In 1946, George Earnest setup a small shop in Klamath Falls, Oregon, to fill requests for custom-made horseshoeing tools. One farrier told another about nippers that cut better and lasted longer than any others, and the enterprise grew. The business has changed ownership and location several times since, but the tools that are named for George Earnest still make the shoers work easier and hold up better under hard use than all the rest. Our pledge to our customers is to continue this tradition of excellence, combining the craftsmanship of skilled hands with modern methods and machinery, to produce superior tools. Since 1973, the Garner family has owned and operated G.E. Forge & Tool. During this time, they have developed and produced many industry-leading products. This tradition is continuing into its third generation with no end in sight. Our high-quality staff aim to give you the customer service and quality product you deserve." 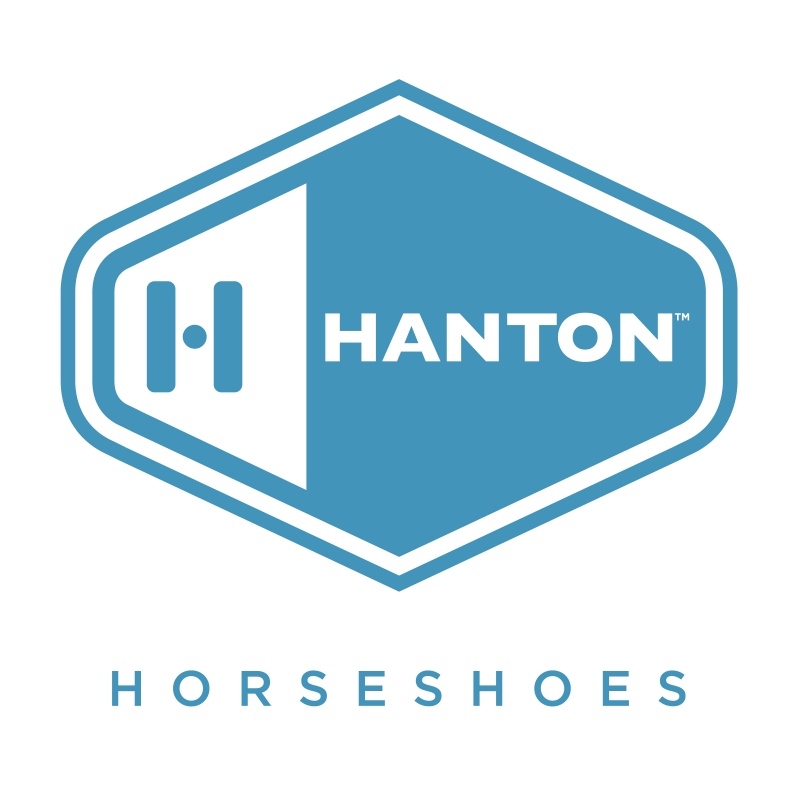 Hanton Horseshoes represents a revolutionary new way to apply horseshoes. Our special tabbed design allows for the application of shoes without any glue on the bottom of the foot or locking in the horses heels. In addition, the quick and easy application process using our unique blister system allows the glue to set with the horse standing in a weight-bearing position for a natural, correct fit, all while providing a safer way to shoe for both the horse and farrier. They are available in aluminum and steel styles and the steel may be hot-fit and reset for added value. Visit our website for a retailer near you or to order directly." "Thrush Crush is a 100% Natural topical treatment which safely and effectively fights thrush, seedy toe, white line disease and other forms of hoof rot. The effectiveness of Thrush Crush is due to the active ingredient, Propolis, a substance created by honeybees that is well documented for its wide spectrum of healing applications. Our product has been tested on horses for over a decade with truly impressive results. Thrush Crush has strong anti-microbial properties, effective in fighting various forms of bacterial and fungal infestations. When combined with routine hoof cleaning, topically applying Thrush Crush directly on affected areas is ideal for promoting healthy hoof conditions." "No Hoof. No Horse. Good Hooves. Happy Horse!" 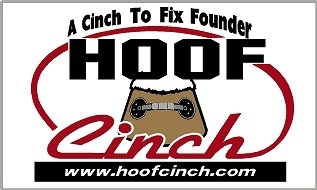 "The Hoof Cinch, A Cinch To Fix Founder. The only device that can actually re-allign the bone and hoofwall. re-allign the bone and hoofwall. Laminitis and founder are a great source of pain for the horse and his/her owner. The horse suffers physically while the owner suffers emotionally and financially. The Hoof Cinch is here to change all of this. The Hoof Cinch is an affordable, safe and painless way to fix founder. The hoof cinch applies pressure to the affected area, relieving pain and forcing the hoof wall to grow back closer to the bone, allowing the laminae to reattach. Screws secure the Hoof Cinch to the hoof wall and no shoes are required making this a pain free installation for the horse. Laminitis can be caused by many variables, thyroid problems, too much grain, fresh green grass in the spring, and the list can go on forever. Sometimes it is very difficult to find the cause for the laminitis. It is always good to have a good farrier and vet that work well together. While the cause for the laminitis/ founder is being sought the Hoof Cinch can relieve the pain and start the corrective process. The Hoof Cinch also causes the hoof to grow at a faster rate due to the continuous pressure applied to the hoof wall that stimulates the coronary band. 10-12 weeks is the normal application time." "Hot Iron Productions (HIP Inc.) was founded in the mid-90s to produce high-quality video footage for the farrier market. Roy Bloom CJF APF-I and Dave Farley CF APF-I were ahead of the curve in the industry, conducting clinics throughout the US and Canada, using video to help attendees get all the details that were a part of their presentations. Bloom and Farley have each been shoeing horses for over 30 years and are recognized among their peers as leading educators and craftsmen in the trade." 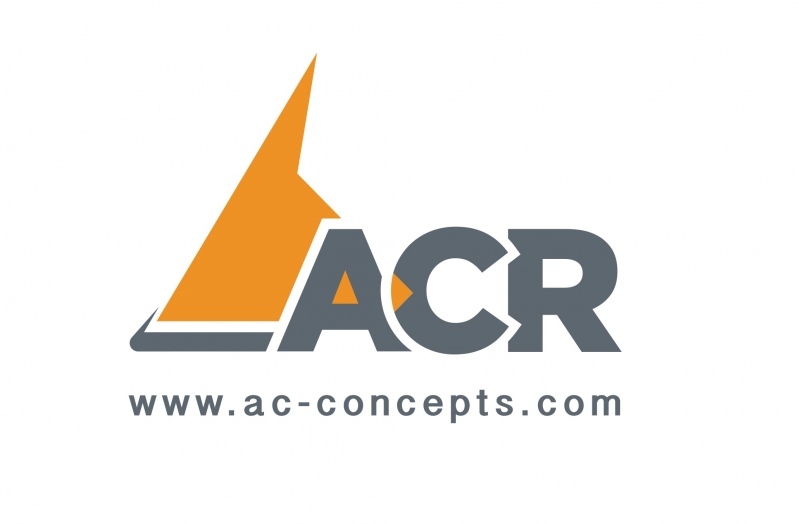 "Manufacturer of freeze-dried and skeletal anatomy models, anatomy charts and lecture slides." "Manufacturers of precision farrier tools." "Life Data Labs is a company founded on solving problems, not theoretical problems, but real-world problems. The research we conduct is driven entirely by the practicality of producing a product or service that will benefit the equine industry. Unlike many companies who perform research to substantiate products they have produced, Life Data Labs develops products as a result of our research. To conduct privately-funded research, it is absolutely critical that the research is usable to continually support the ongoing efforts. Since 1973, Life Data Labs (as the name implies) has funded and conducted equine research that has benefited the entire industry; a testament of our success and dedication." "Farriers are often frustrated by painful, chronic conditions? They may be searching for a safe but effective alternative to pain pills? And they might be searching to heal their body, improve sleep, and athletic performance. 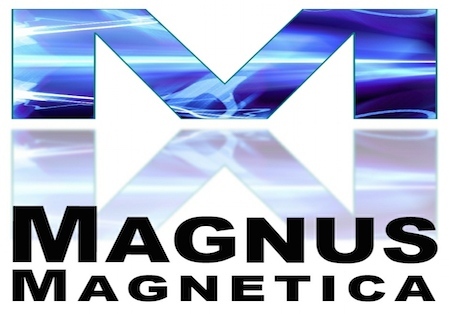 The use of PEMF (Pulse Electro-Magnetic Field) Technology just might be their answer. Farriers and veterinarians from around the world are learning about this technology and are not only using it on their own bodies, but also in their farrier and vet practices." 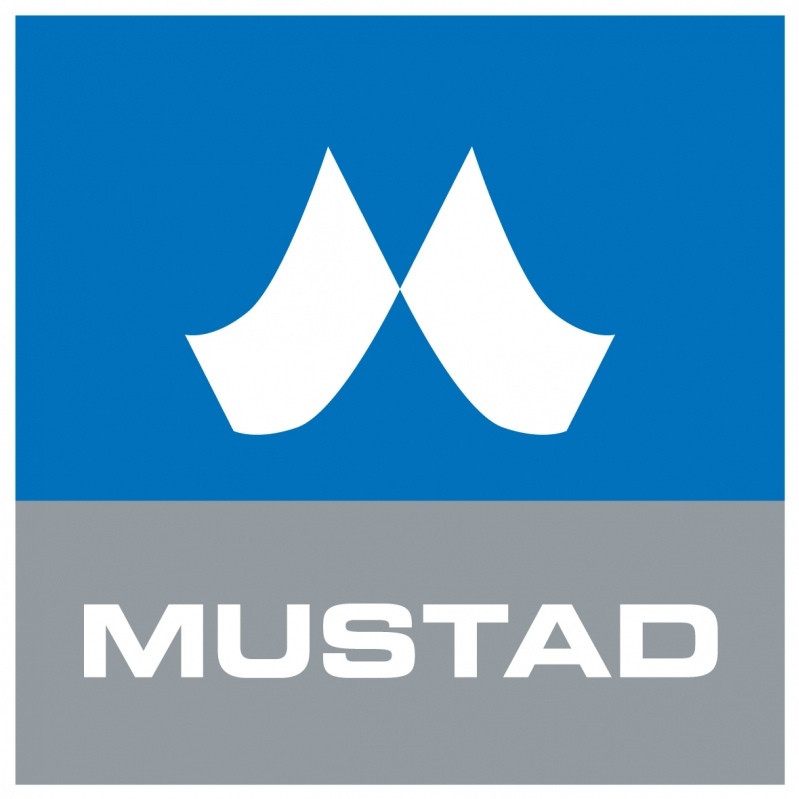 "Delta Mustad Hoofcare Center provides North Americas Leading Hoofcare Brands of St. Croix Forge, Capewell, Mustad, Delta and Heller, along with a broad array of the right products needed for the equine hoofcare retailer to be successful. Our wide product portfolio spans all the major categories of Steel, Aluminum and specialty horseshoes, nails, tools, rasps, anvils, aprons, pads, studs & traction, Hoofcare treatments and supplements, Hoof boots and equine care products for the hoof." "Thank you for using NC Tool Company, Inc. as your shoeing supplier. It is you, our Farrier friends, that have helped us to become a leader in the horseshoeing supply and prompt mail order business. We stock close to 2,000 different items in our store for your shoeing needs. However, if there is an item you need that we do not carry, please let us know and we will do our best to locate it for you at a reasonable cost." At Nutrena, we know it takes optimum nutrition to feed your horse for proper development, overall health, and performance ability. While others only consider ingredients we focus on nutrients. Thats why our horse feed solutions are formulated to deliver the right balance of nutrients your horse needs every day. Nobody knows horses and the people who own them better than Nutrena. We use the latest technology to connect with our customers, collaborate and develop the nutritional solutions they want and need. To discuss your horses specific nutritional needs, ask a Nutrena consultant. To buy Nutrena horse feeds, visit the Nutrena dealer near you." 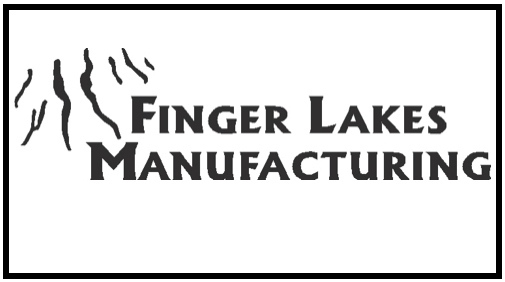 "At Pathfinder Farrier Products Co., we bring the same level of craftsmanship to the manufacturing of our products that our customers do to horseshoeing. We specialize in the highest quality goods for the most demanding applications. Our SureStep composite rod is hand-sorted, hand-weighed and hand-made. We also craft and test our complimentary products like flux, filler rod and tube metal to the same standards, ensuring they work perfectly with our rod goods. When your customers and their horses demand superior traction, its time for a new path." 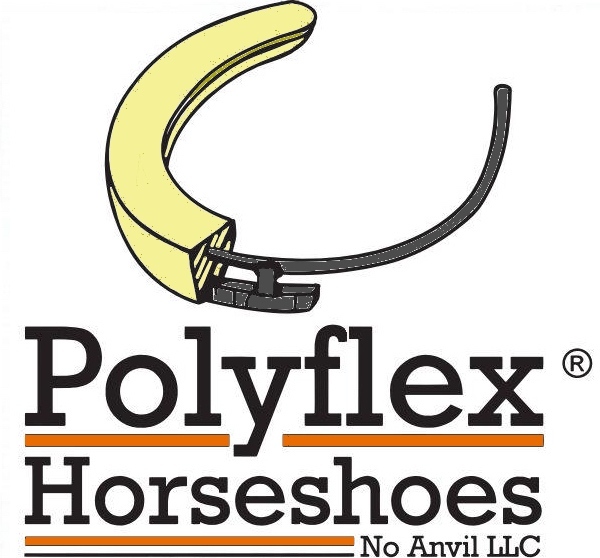 "All synthetic horseshoes are NOT created equal. The only direct glue on horseshoe which enhances the natural shock absorbing mechanism of the hoof. Introducing a Clear Difference from the traditional glue on horseshoe. The Burns Polyflex Shoe is molded from hybrid polyurethane, resulting in a degree of hardness closely resembling the natural composition of the horses hoof. With its encapsulated wire it retains a shape when custom formed by hand, enabling the shoe to be customed fitted to the individual horse. It also has a steel insert (wear plate) which compares to the toe grab height of a Queens XLT racing plate. This polyurethane technology produces a flexible, tough, shock and moisture resistant protective barrier for the Equine hoof wall to ground surface interface." "Pyranha, Inc. was chartered December 4, 1972, for the purpose of manufacturing and marketing a full line of fly control products. Pyranha pioneered the development of an automatic insect control system which dispenses specially formulated insecticides providing the horse industry with a reliable, effective and economical method of insect control in and around animal quarters and barns. For over 40 years Pyranha, Inc has been innovating and providing pest control solutions for the residential and livestock industry. Pyranha not only offers ready-to-use and concentrated insecticide products as well as their misting systems, but they also offer a line of odor-management products ideal for homes, kennels, livestock areas and more." Save Edge means sharp and reliable, with lasting performance. This is the opinion of file users throughout the world. Since 1976 we have been giving files the edge that professional craftsmen demand. Our goal is to provide the best quality products and service available." Soft-Ride Deep-Gel Equine Comfort boots is the latest innovation by Soft Ride co-owners who have a long-standing commitment to the health and welfare of horses. Over thirty years ago, these co-founders of Soft-Ride developed a pour-and-place urethane flooring system for equine facilities. The equine friendly surfaces have been installed for safety and comfort in many of the great farms across the country. The idea for Soft-Ride boots was born from a need to have mobile support for horses during the stress of trailering and travel. The Soft-Ride system has since developed into a multifaceted company that not only addresses the comfort of horses on the road and in their stalls, but has also branched into the veterinary and farriery field to help comfort laminitic horses. Different orthopedic inserts have been created to provide comfort and support when transporting and stabling as well as in the treatment and prevention of injuries for all types of equine. "Let us take the mystery out of it for you. In a simple phone call, we will walk you through each step of the process. Most Farriers choose a simple block font letter stamp with 1/8" letter height. That makes for an easy read and keeps the size manageable with respect to the limited space you have on a shoe. We manage the lay-up for you on letter stamps. If you do have a logo, please send that along with required size. We prefer Vector art (EPS, PDF, or SVG files) but we can also use high-resolution jpg and png files. Once we know what you want we can give a quick price estimate and let you know the expected lead time. Our steel hand stamps are made from high carbon "01 tool steel" and hardened to assure long life. You can stamp "cold" on annealed steel or "hot-stamp". The latter is recommended whenever possible." 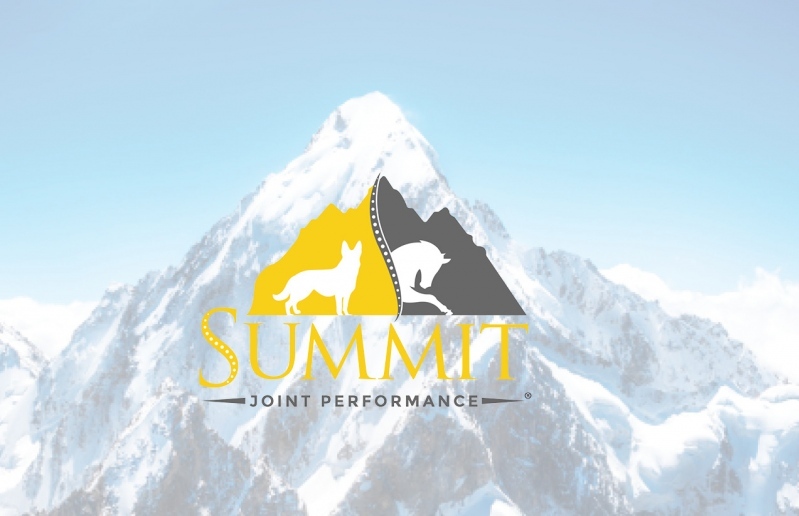 "Summit Joint Performance is the purest form of Chondroitin Sulfate ever developed. It is an organically derived, low molecular weight compound, and is the most effective and safest Chondroitin product available on the market today. Summit was developed by doctors and scientists for use in human corneal transplant surgeries. Later it was discovered to have incredible effects on the joints of horses when delivered via intramuscular injection." "The 9th largest veterinary pharmaceutical company in the world, Vtoquinol is first and foremost an independent, family-owned business. Deeply committed to its values, it has always enjoyed a close relationship with its vet clients. Vtoquinols growth and development strategy focuses on innovation and finding the right balance between two major markets: companion animals and livestock, bred for human food. Historically based in France, Vtoquinol currently develops, produces and distributes a wide range of more than 700 medical and non-medical products in Europe, Americas and Asia-Pacific. With a presence in 25 countries through its subsidiaries, its strong network of 140 distributor partners provides visibility for its products in more than 100 countries. Manufacturers of Zylkene - helps keep horses calm without drowsiness; no sedative or tranquilizing effects. Sold through licensed veterinarians." "Vettec has been manufacturing and distributing the highest level of hoof care products worldwide for over 15 years. Vettecs extensive line of hoof-related materials allow your hoof care professional to complete hoof repairs and glue on shoes with Adhere, as well as create instant shoes and foal extensions with Super Fast. Vettecs instant pad materials (Equi-Build, Equi-Pak, Equi-Pak|CS, Equi-Pak|Soft, Sil-Pak, and Sole-Guard) promote heel and sole growth, eliminate thrush, protect and support the equine foot, and prevent stone bruising. Our 84,000 square-foot building is where it all happens, from the executive offices to customer service, equipment service, material production, and shipping. We're located about an hour north of Los Angeles, California, a quarter mile from the Pacific Ocean, in the coastal city of Oxnard. Vettec also has manufacturing and distribution facilities in Europe." AAPF/IAPF Member: Anne-Marie Chalmers M.D. "Since kicking off Wellpride in 2003, its been quite a ride. For over a decade, weve felt privileged to see Wellpride horses succeed at Devon, Rolex, Breeder's Cup, Kentucky Derby, and the eventing rounds of the Pan American games. Weve also had the great satisfaction of helping rescue horses and older horses get that extra TLC for their hooves, digestive health, and joints. Regardless of whether you are a competitive horseperson or pleasure rider, we are excited to be a part of your horses path to improved well-being. Wellpride was founded by two omega-3 experts, Dr. Bo Martinsen and Dr. Anne-Marie Chalmers, with the support of a veterinarian and researcher consulting team. For over a decade, we have devoted ourselves to producing the best quality fish oil for horses, focusing on the dose and freshness level needed to achieve results. For our Wellpride formulation, we use a natural fish oil made from sardines, herring and small mackerel, purified to ensure it is rid of mercury and pesticides. With our easy-squeeze bottle, you can serve your horse the one to two ounces necessary for making a difference. And our human-grade oil is so fresh and palatable, you can even drink it yourself." "Skilled focus on improving farriery. Farriers are experts in the field of horseshoeing. They know, better than anyone, the connection between good horseshoes and the horses performance. Therefore, they require top-quality horseshoes tailored to the anatomy of the hoof; fully functional with the proper finish. Werkman horseshoes meet the contemporary high expectations of farriers. Our product line consists of quality products finished in detail, which you, the farrier, will elevate the vitality of the hoof to a higher level in order to enhance the performance of the horse."